Our Club Nursery, in association with Sherry Fitzgerald continues as normal this Saturday (April 13th) for 4-7 year old boys and girls from 9.30am - 11.00am on our All-Weather pitch in Russell Park! New families always welcome! Just arrive down and speak to any of our friendly coaches! Well done to our Inter Hurlers, Minor A and Minor B Footballers as well as our U16, U15 male and female Footballers all of whom had fine wins over the weekend. Our new neighbours, Edmund Rice College are hosting a table quiz in Russell Park this Thursday, 11th April from 8pm! All are welcome! Best of luck to our Féile and Adult Football teams who begin their Championship and Féile campaigns this weekend! Follow our Twitter page for latest scores and results. 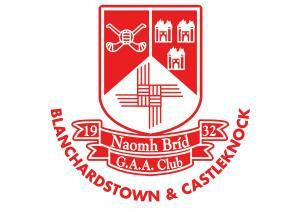 2019 Memberships are now overdue (Deadline was March 31st) and can be paid online via www.stbrigidsgaa.com. There was no winner of our Club Lotto Jackpot last week. This weeks Jackpot rises to €2,000 and will take place in The Greyhound this Thursday evening, April 11th. 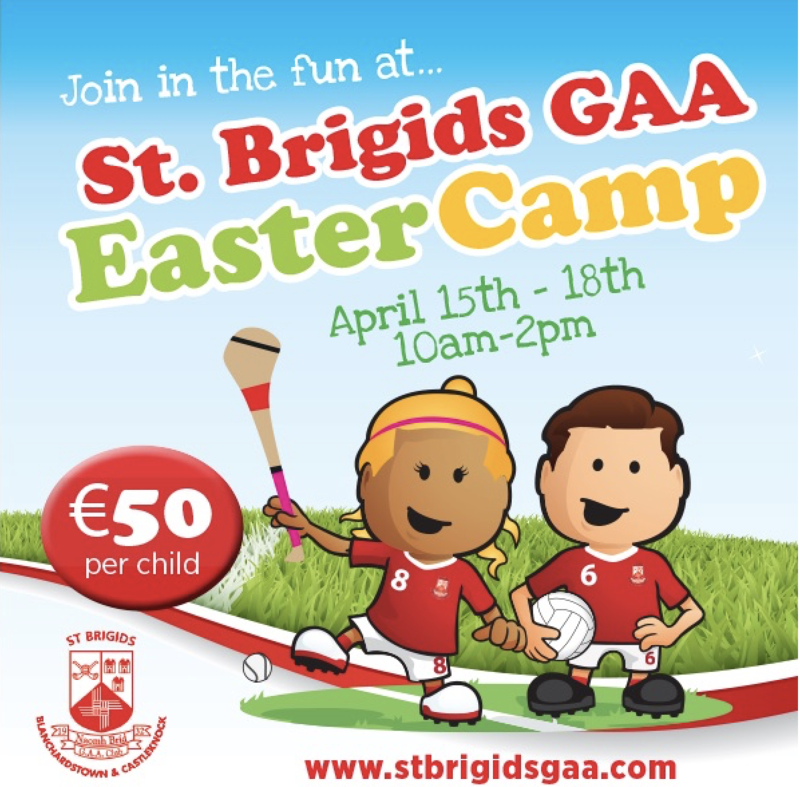 Only 1 week to go until our 2019 Easter Camp which runs from April 15th to April 18th (inclusive). Places are limited and are filling fast. The Camp caters for all boys and girls from 5 to 13 years of age and runs from 10.00am to 2.00pm each day! Everyone is welcome! Participants are required to bring a packed lunch, a water bottle, sports gear (hurl and helmet if they have one, one will be provided if not) and a rain gear! Please ensure all clothing and gear is marked with your child's name! Book online via our Club Website!